Today we visited the science and engineering center of Queensland University of Technology (QUT), called the Cube. 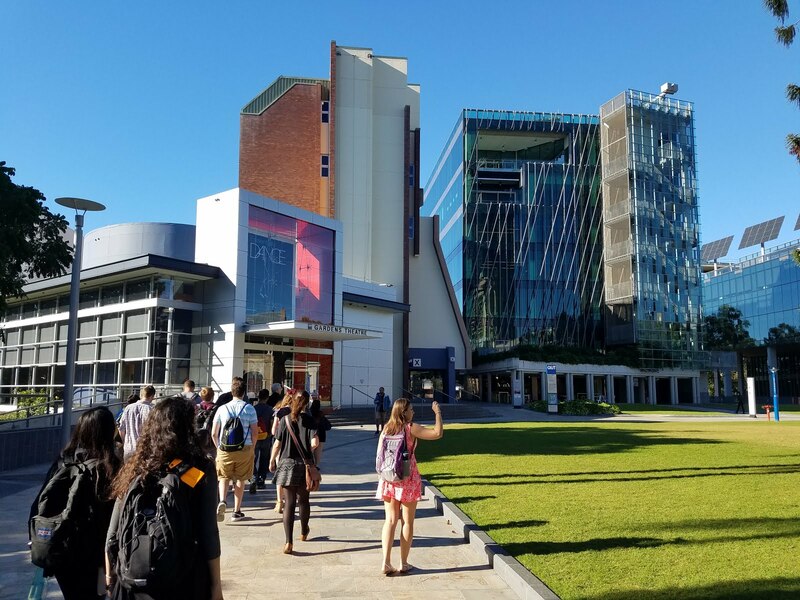 Today we visited the science and engineering center of Queensland University of Technology (QUT), called the Cube. It boasts the biggest facility for visualization and simulation in the world, and a 5-star green star rating, which is a sustainability rating system for buildings in Australia. At the entrance, we were greeted with two-story tall screens that had interactive sections. At the time, there was a display on dinosaurs, and as the dinos ran across the screens, you could reach out and pet them. 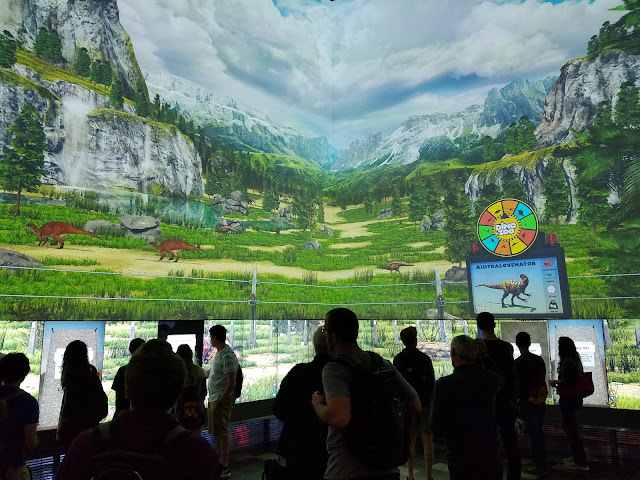 While we were only able to experience the dino display, the theme of the display changes at various points of the day. 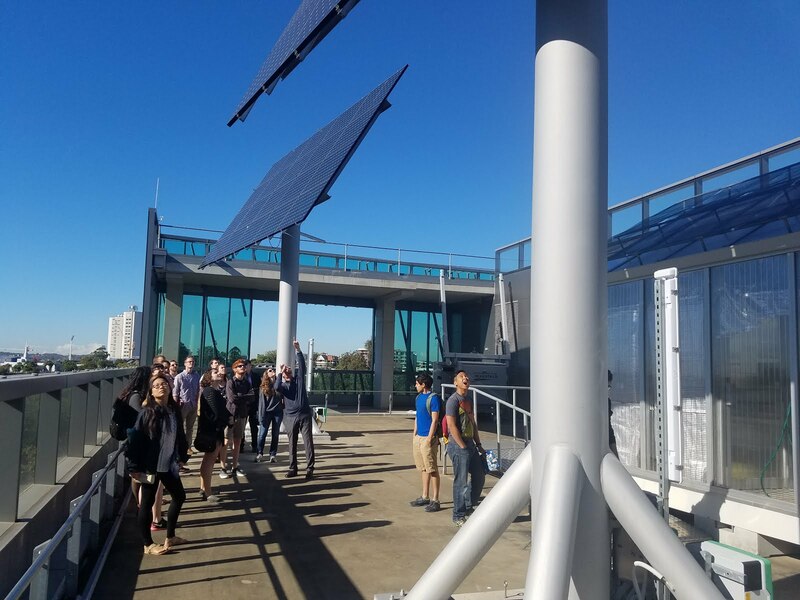 Our host was professor Gary Rasmussen who showed us around the facility, including their roof, which houses three rotating solar panels that track the sun and move accordingly. We also visited the lab of Dr. Ajay Pandey, who specializes in medical robotics and orthopedic surgery. He is developing technologies that accurately scan and reconstruct bones in cases that are so severe even a surgeon is unable to properly identify bone fragments. Next, we heard from QUT students Kaitlyn and David about school life, and two of our students gave a brief presentation about life at Minnesota. It was interesting to contrast the two systems and their different focuses. 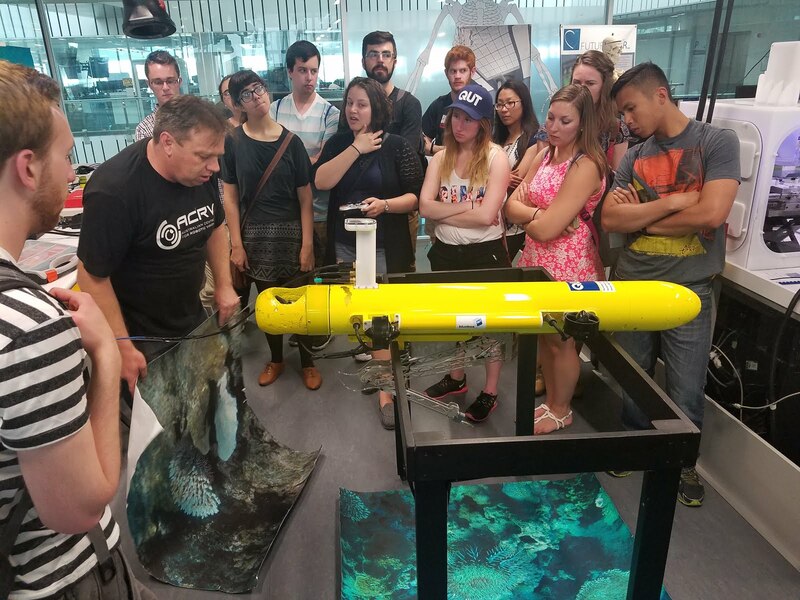 We later met with Dr. Matt Dunbabin who is leading a great effort to neutralize an invasive starfish destroying the coral reefs called the Crown-of-Thorns starfish. He had developed a small submarine-type vessel called COTSbot, which is able to recognize the starfish on ocean floors and inject it with a saline solution which then kills it. Finally, we met with Dr. Mia Woodruff’s team who are doing fascinating work 3D printing tissue scaffolding for implantation, which they inject with the patient's cells. And as the cells multiply, the scaffolding then dissolves away, leaving a perfect implant which the body recognizes as itself. They are also working on 3D printing ears for children who suffer from microtia and developing these ears into hearing aids or cochlear implants, essentially building a new working ear for these children. 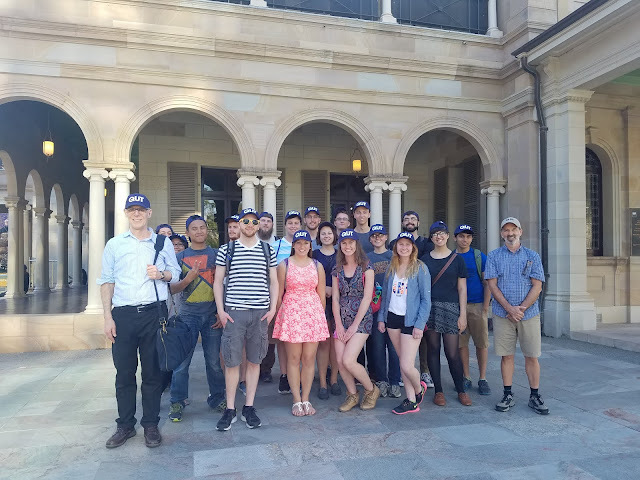 As beautiful campus leading innovative research efforts, I think it is safe to say QUT may be one of the group's favorite universities yet, also, they gave us all free hats.